OMG Posters! 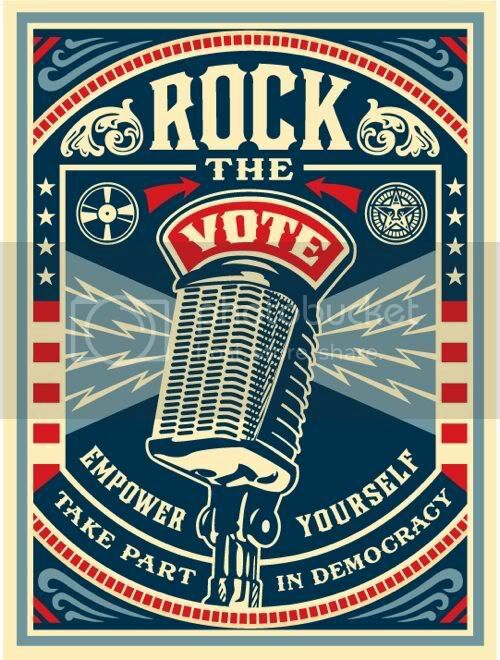 » Archive This Week's Obey Print: Rock The Vote - OMG Posters! After the Cafe Press release, looks like Shepard Fairey is set to release his own limited version of his Rock The Vote poster. It will drop sometime during the day of Tuesday, July 1. Keep your eye on ObeyGiant.com. More like rock the server! very very cool new shep fairey poster! love it — this is one of those ‘got to have it’ limited edition/collectible posters definitely — thanks! I would like to order the Shep Fairey “Rock the Vote” poster.